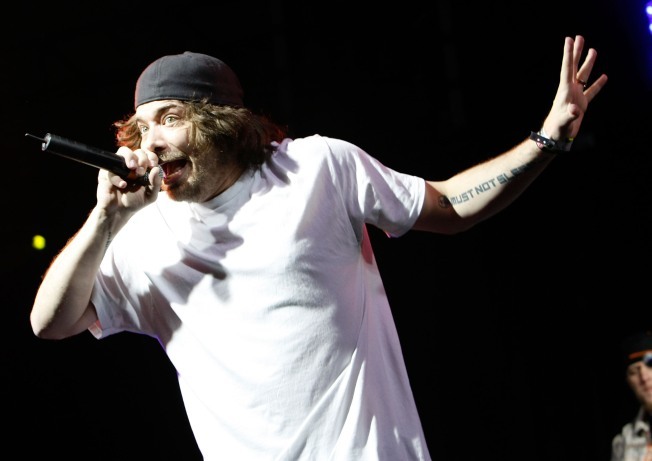 Aesop Rock performs at The Fillmore in September. Think and Die Thinking is an annual indie punk festival geared towards women, people of color, and the LGBT community featuring live electronic, punk, and experimental bands from the South Bay alongside vegan food and handmade crafts for sale. The Bay Bridged reported that this year's party happens on August 24-26 at the Billy De Frank LGBT Community Center in San Jose, with proceeds to support the non-profit's services. Heady San Francisco rapper Aesop Rock's live show, originally planned for July 15, has been rescheduled. Tickets are on sale now for the new date of September 16 at The Fillmore, where he'll appear with supporting artists including his Hail Mary Mallon bandmates DJ Big Wiz and Rob Sonic and Seattle's Dark Time Sunshine. According to Rolling Stone, legendary British synth-pop outfit New Order announces its first tour dates in seven years will begin at Oakland's Fox Theater on October 5. Tickets are on sale today, but be forewarned that the band is touring without its original bassist Peter Hook.